Mountains and monuments dot your route from London to Rome. Admire Munich’s musical Glockenspiel in Marienplatz, take an exhilarating journey through an Alpine highway and marvel at St. Mark’s Square in Venice, with stops in Rome, Lucerne and Paris. *Kelowna & Victoria return flight will require an overnight hotel in Vancouver at passengers own cost. Single Share Program: When travelling alone, we understand that some clients do not want to incur the expense of an additional single room supplement. That’s why we give you the opportunity to purchase selected vacations on a room sharing basis on the majority of our itineraries. We will accommodate you with a fellow guest of the same gender on a ‘two-bedded’ basis (non-smoking rooms only). Please note that we cannot guarantee roommates will be of a similar age group. If we fail to match you, we will provide a single room at no extra cost. 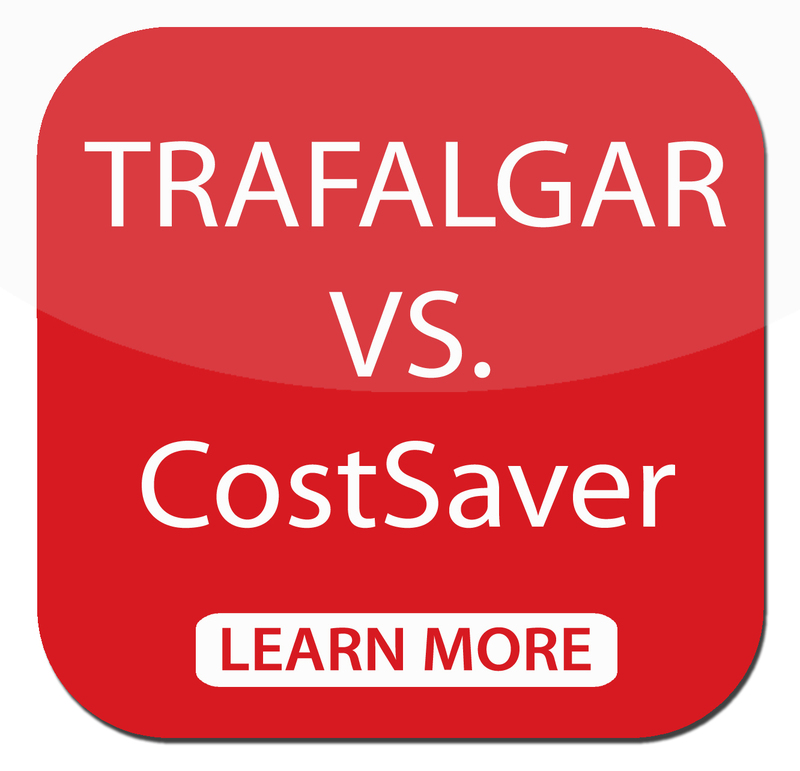 Upgrade your tour package to Trafalgar First Class Vacation: European Whirl. For more information or request a quote, please call us at 1-877-523-7823. And there’s always free time for you to enjoy Optional Experiences, night time entertainment, or simply explore on your own. And if you’re looking for inspiration at any point, your Travel Director will always be happy to point you in the right direction. Hand-picked 4 or 5-star accommodation, whether it’s centrally located, in the midst of stunning countryside, or close to a major site. With CostSaver you get a great value vacation, without compromising on quality and still benefiting from award-winning service from a name you can trust.What’s includedYour accommodations will be 3 or 4-star, featuring twin rooms. You’ll also enjoy buffet breakfasts, and while up to half your dinners will be included in the price of your trip, you’ll be free to dine out the rest of the time.As such you’ll have more time and freedom to explore on your own, or choose from one of our Optional Experiences. Though don’t worry, if you’re ever stuck for ideas on where to go, your Travel Director will be more than happy to point out their favorite trattoria, restaurant or café. Hand-picked 3 or 4-star accommodations. To make sure we’re always delivering the best value for money, we carefully select hotels in exactly the right location. Sometimes it makes sense to stay centrally, so we do. But at other times we’ll opt for a better hotel slightly further out over a less desirable property in town. It will always be in a good neighborhood, with transport links an easy walk away. You will be met at Gatwick Airport and transferred to your hotel. Relax after check-in or take a leisurely stroll through this fascinating city. The day is yours to explore the delights of London. See the sights, visit a museum or go shopping – the list is endless and the choice is yours. Cross into Germany and view Cologne Cathedral, the largest Gothic church in Europe. In Boppard embark on a scenic cruise down the River Rhine past terraced vineyards and towering castles. Finish the day at your hotel in the Rhineland. Enjoy an exhilarating journey through the Brenner Pass – one of the principal alpine highways – to Italy. In the Byzantine city of Venice cruise by private launch to St. Mark’s Square. Marvel at St. Mark’s Basilica and the ornate Doge’s Palace. Visit a traditional glassblowing workshop and see a demonstration, then spend time discovering the delights of Venice. You might like to take a romantic ride in a gondola. Your Local Specialist brings Rome’s rich history to life during your wonderful sightseeing tour. Visit St. Peter’s Basilica, featuring magnificent works of art. Your tour continues across the Tiber to view the Colosseum and see the ancient sites of Rome. Spend the rest of the day as you wish. From the Sistine Chapel in the Vatican Museums to the incredible fountains in Piazza Navona. Drive north through Umbria into the rolling countryside of Tuscany. In the Renaissance city of Florence enjoy spectacular views of the city from Piazzale Michelangelo. Afterwards there is time to explore the Piazza della Signoria, the Duomo and Giotto’s Bell Tower. Don’t forget to shop for leather goods and 18-carat gold jewellery. See the sights during your orientation with views of the Champs Élysées, Arc de Triomphe and the Eiffel Tower. Afterwards there is time for you to explore on your own. Tonight is the last evening of your holiday so you might consider a delicious dinner at a cosy bistro. Say farewell to your Travel Director and travelling companions at the end of an amazing holiday.